Buying a new TV is not something I typically look at doing. Sure, I like to go to Best Buy and look at the shiny things, dream a bit, and then look dejectedly at my empty wallet. Yet, when it comes down to it, I keep my TV a very long time. 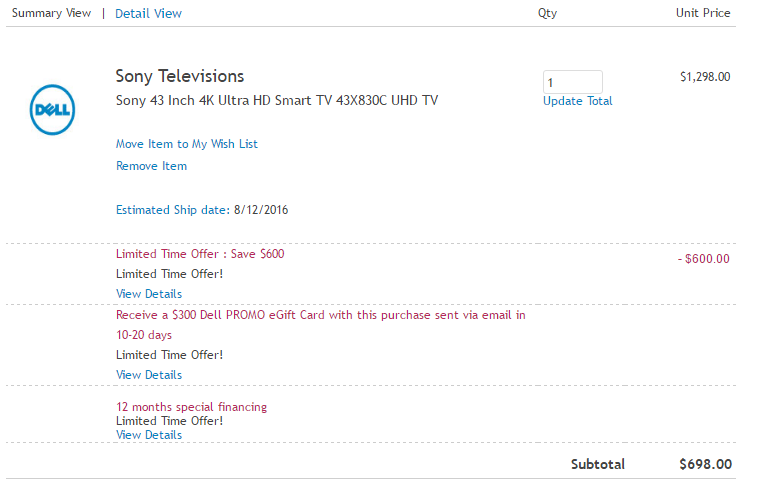 Lately, however, I have noticed quite a few tempting deals on Sony TVs. 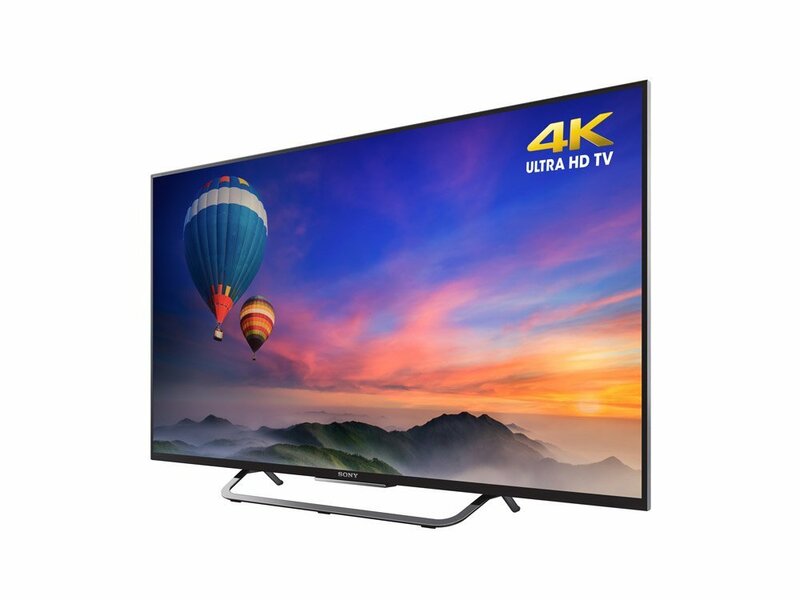 A few days ago, we informed you all that the Sony XBR-43X830C 43” 4K Android TV was listed on eBay for $549.99. This 2015 model gives you a 4K LED display, 4K streaming from Netflix and YouTube, Android TV, and Cast support. Today brings us a new deal, but this is one is from Dell. The company is selling the television for $698, which may not seem all that great, especially considering that it is higher than Amazon’s price of $676.90. The catch here, though, is that Dell is throwing in a $300 eGift Card. So, even though you might pay extra for the TV, the eGift Card could go a long way toward purchases in the Dell store. For example, you could use that toward an Xbox One S or to buy this Sony soundbar system to complete your TV setup. According to Dell’s discount details, the eGift Card will arrive in your inbox within 10-20 days of purchase. 3-5 day shipping for the TV itself is free with a 30-day return policy.